Bing Han 10 Year Anniversary T-Shirt Contest! LIKE and COMMENT to WIN Bing Han Ginseng Coffee! Ginseng’s effectiveness can not be traced to only one particular active agent or constituent. 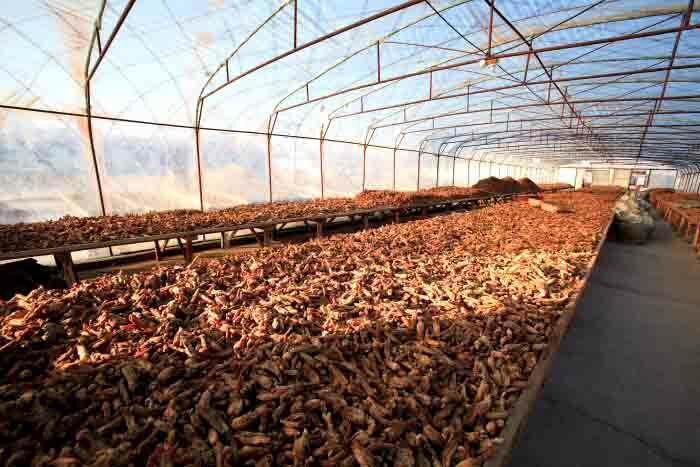 It is the complex relationship between the many naturally occurring agents that gives ginseng its special properties. The most commonly studied active components of ginseng, however, include a family of saponins called ginsenosides. The word saponins comes from the Latin word (sapo) meaning soap. Indeed the frothiness that occurs when Bing Han Ginseng and water are mixed together and well-shaken is an indication of the presence of saponins. The plant kingdom is rich in saponins, which act as critical defenders for the plants immune system. Ginsenosides are the special type of saponins found in mature Panax ginseng roots. There are more than 20 ginsenosides that have been discovered in ginseng. The highest concentrations of ginsenosides are found in the smaller size roots and root fiber. This is one of the reasons that Bing Han Ginseng powder is always made from the whole dried root including all the delicate little root tendrils. These cell protective substances have been found to have a wide range of health-promoting effects. A bioactive subgroup found within ginsenosides, panaxdioles and panaxtrioles These substances are thought to exert positive, modulating effects on the central nervous system.